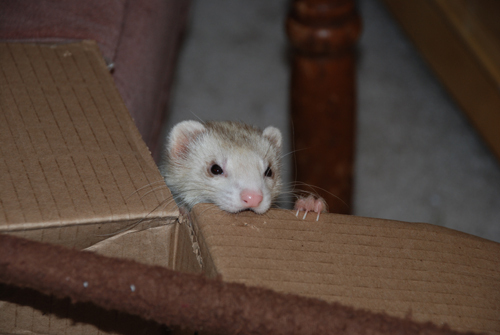 Sadly, after several months of illness, medication, and hope, Ysabell left us on May 9th, 2011. 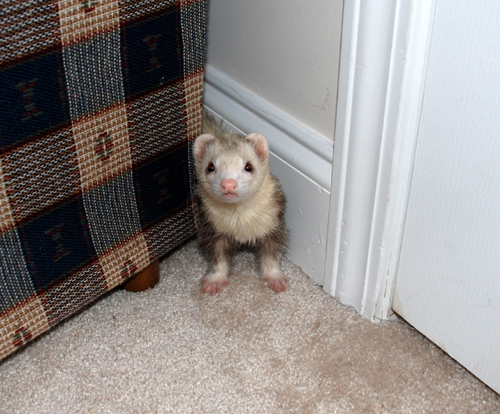 We had her for just over 3 years, and will always miss her. 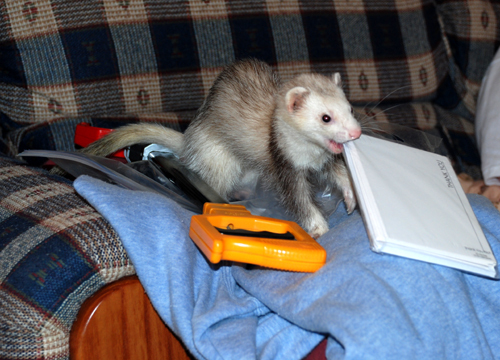 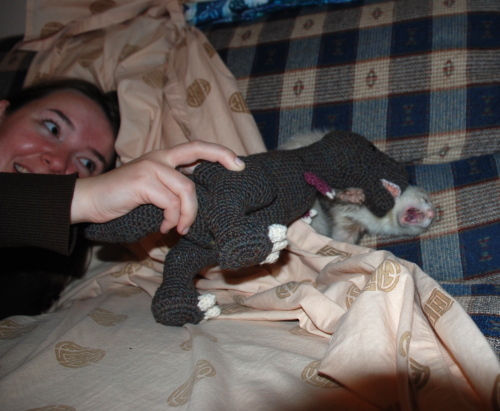 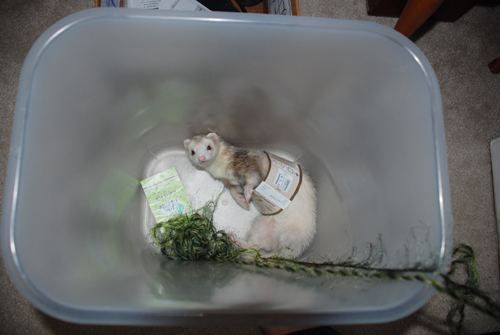 Ys was buried in one of our old tshirts (lets face it, 90% of the ferret’s bedding consists of our old and sometimes not-so-old clothing), with her favorite red Kong and a piece of cardboard she’d holepunched back when she was feeling better.